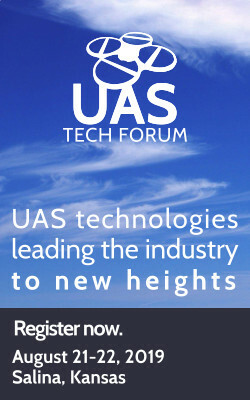 Stay informed about latest developments in the UAS industry with our free newsletter. The Unmanned Aerial Systems Cluster Initiative of Oklahoma and Kansas (UASCI), funded through a contract with the U.S. Small Business Administration, accelerates the growth of the Unmanned Aerial System industry in the U.S. by enabling established companies and emerging entrepreneurs in Oklahoma and Kansas to connect, work together, and gain access to national technology, global capital, advanced business models and global markets. This year's agenda spotlights UAS in three exciting tracks: Agriculture, First Responders, and Innovation. Industry leaders and policy makers will be front and center at this event making this a one-stop shop for some of the best networking of the year. Get Ready, Get Set, Pitch! Interested in getting your company and product in front of manufacturers, entrepreneurs, and investors in the unmanned aerial systems industry? Quick Pitches are the most efficient way to get your company in front of key strategic partners, but you have to apply to be considered. Spots are limited, don't lose yours! Application deadline is April 12th. One more reason to be excited, this year's forum will include DEMOS inside a fabulous weather proof arena. Reserve your spot today.